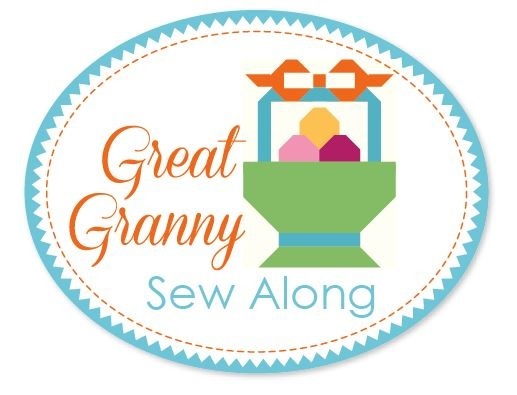 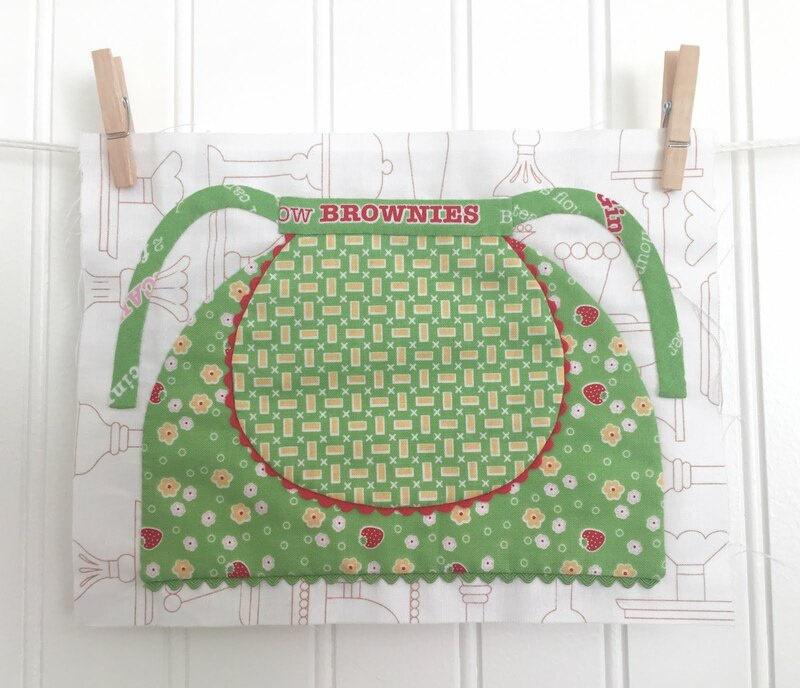 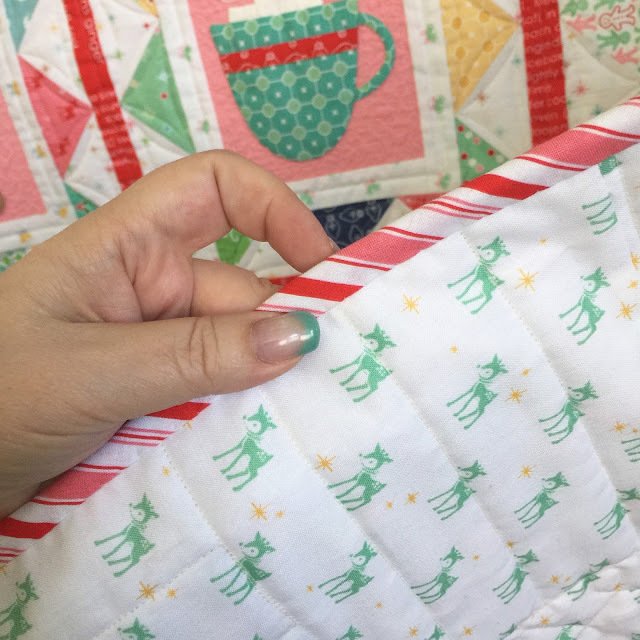 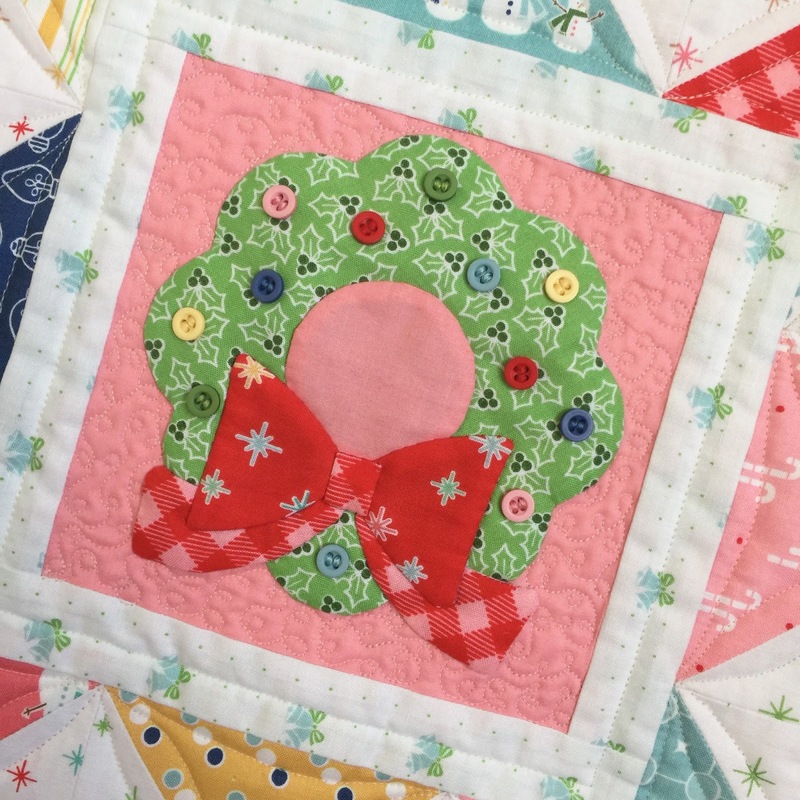 Bee In My Bonnet: Cozy Christmas Sew Along - Week 13 - The Big Finish!! 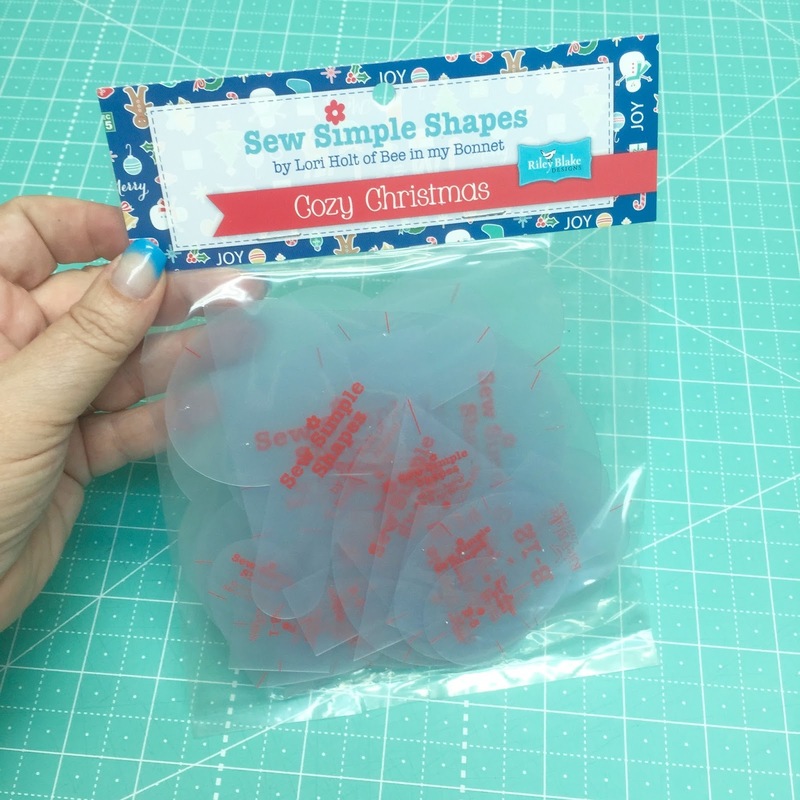 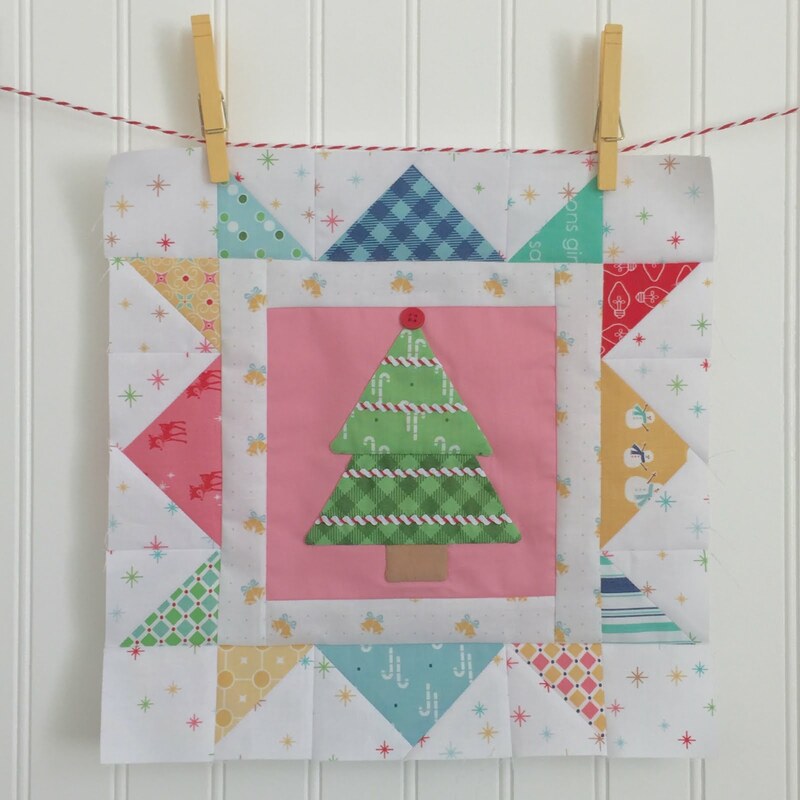 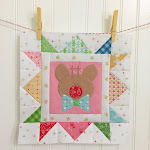 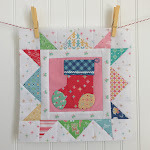 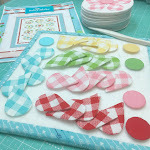 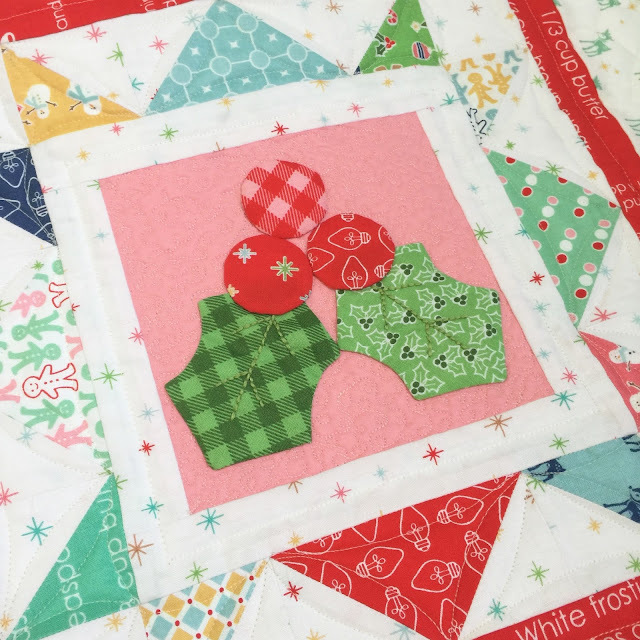 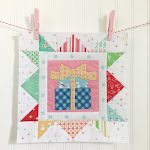 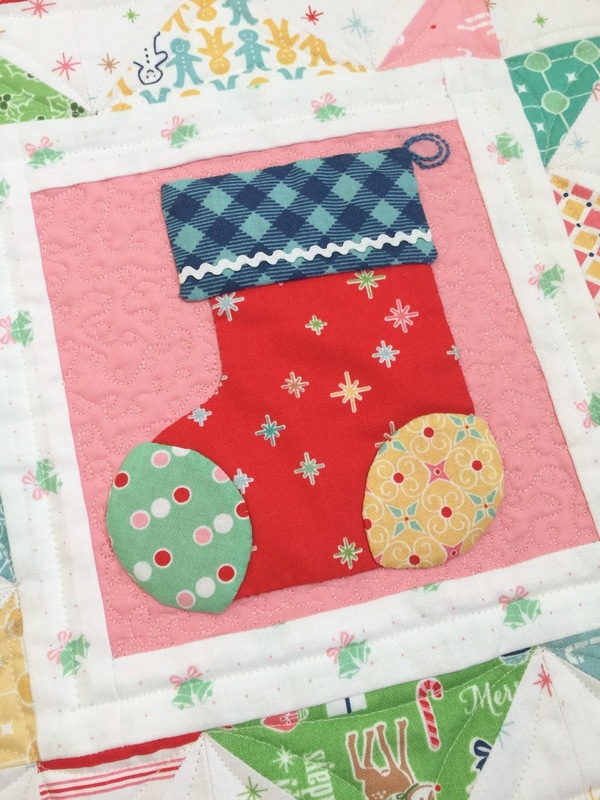 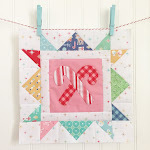 Cozy Christmas Sew Along - Week 13 - The Big Finish!! 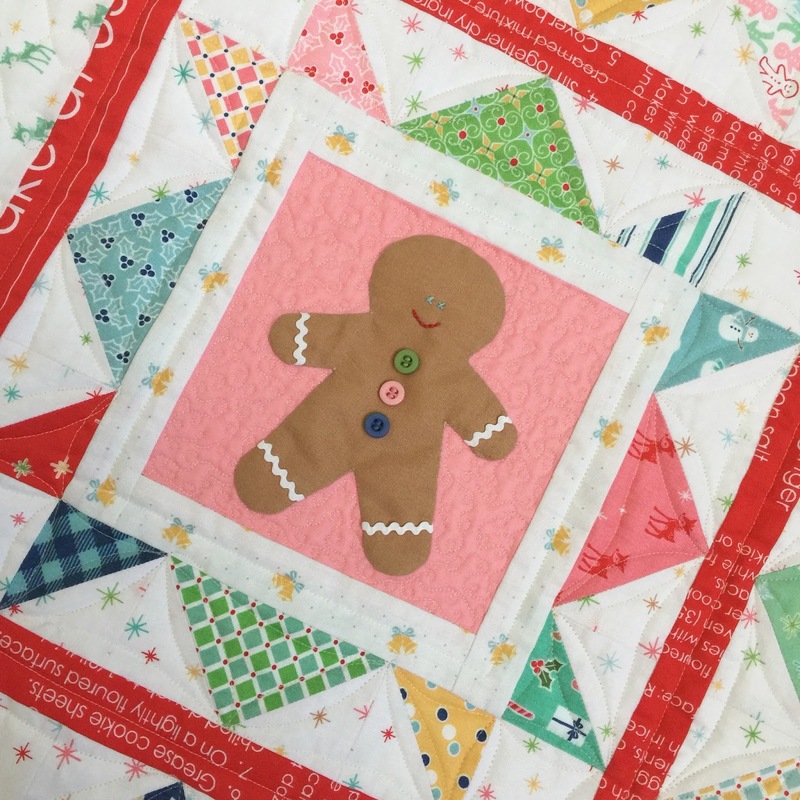 I took a lot of close up photos of my quilt just in case you needed any ideas for quilting. 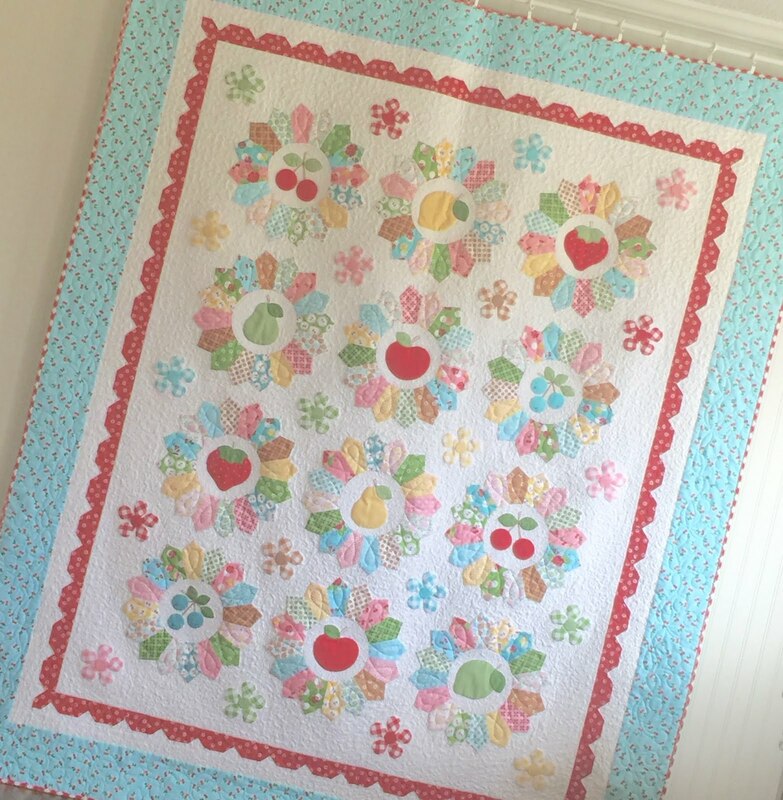 for me and I love how it turned out!! 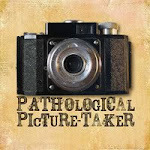 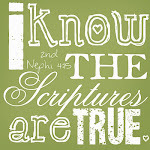 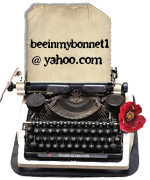 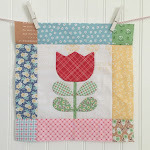 of my tutorials will remain on my blog. 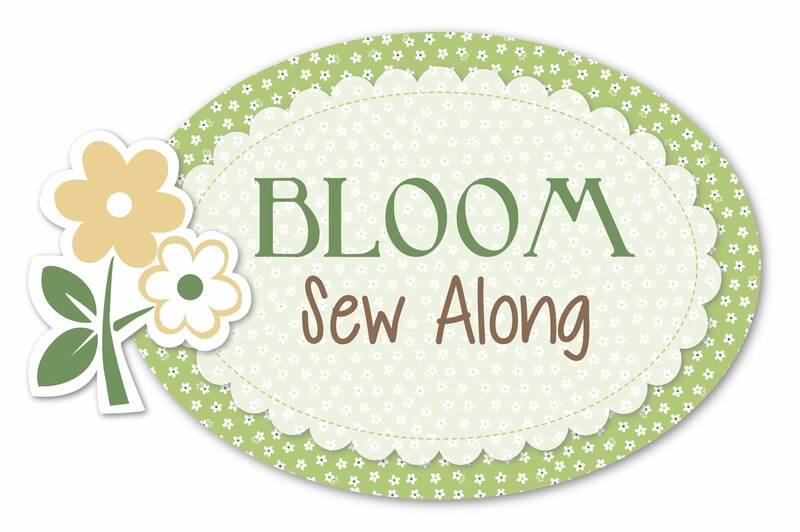 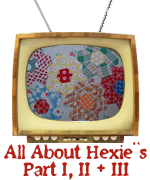 and I'm excited to show you even more projects that I'll be making. 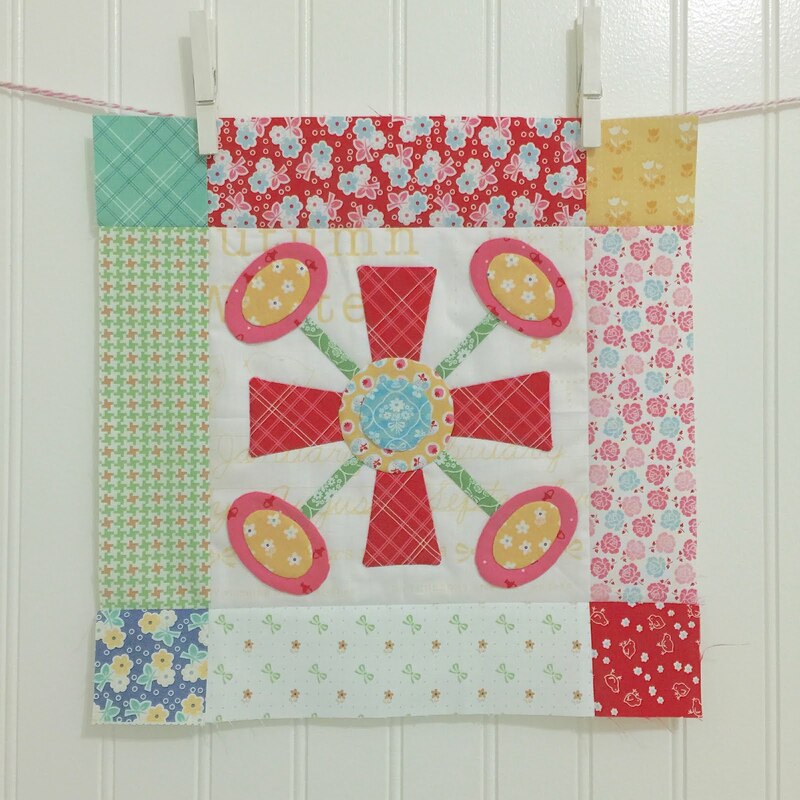 And made a table runner using it. 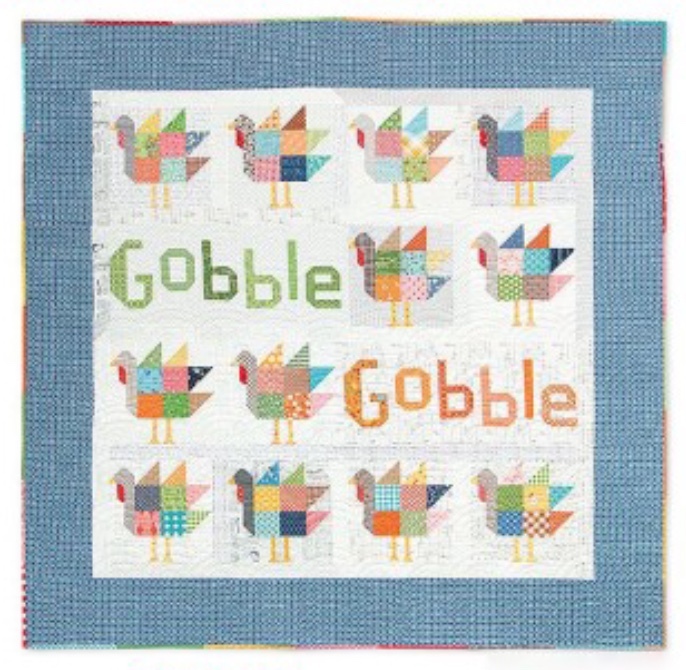 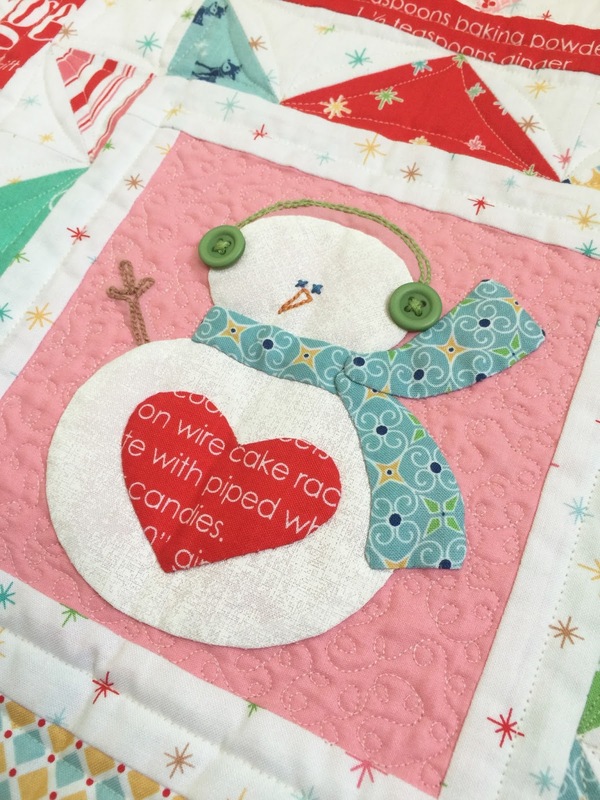 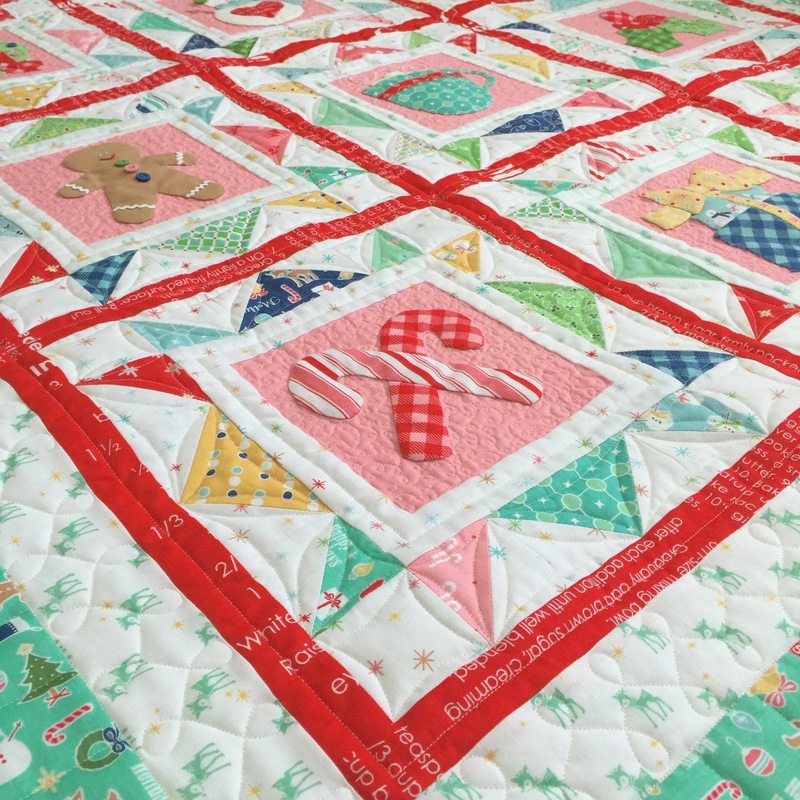 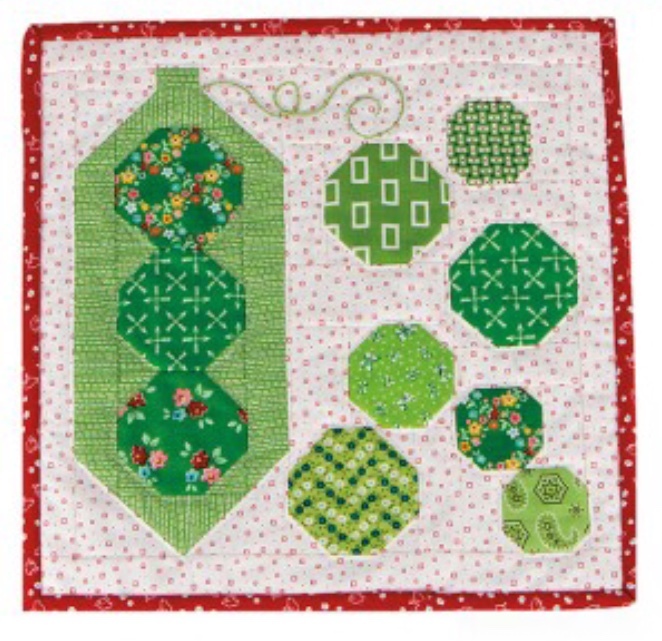 Oh - love the quilting on your Cozy Christmas Quilt. 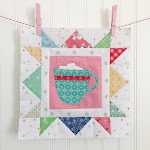 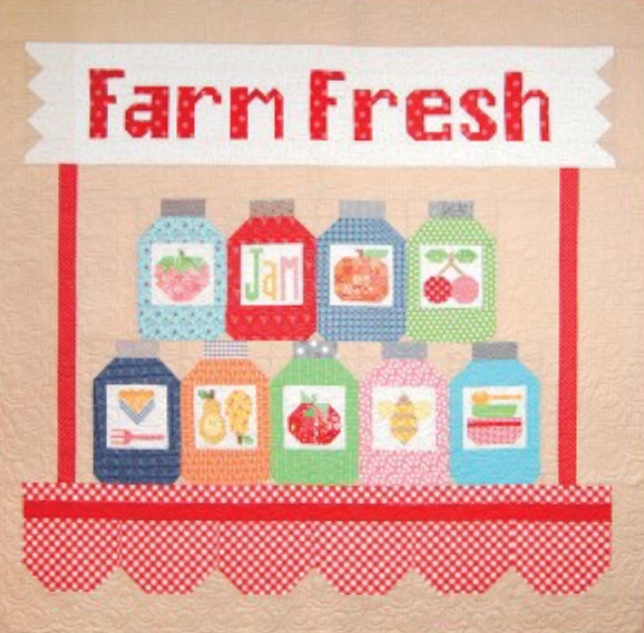 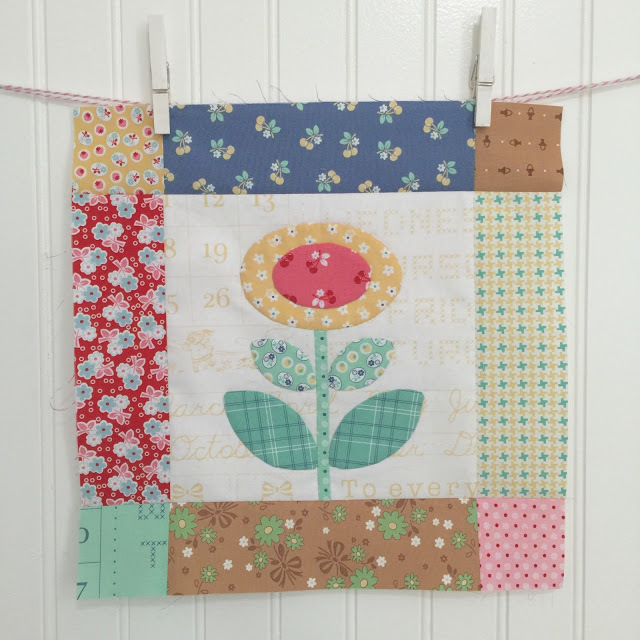 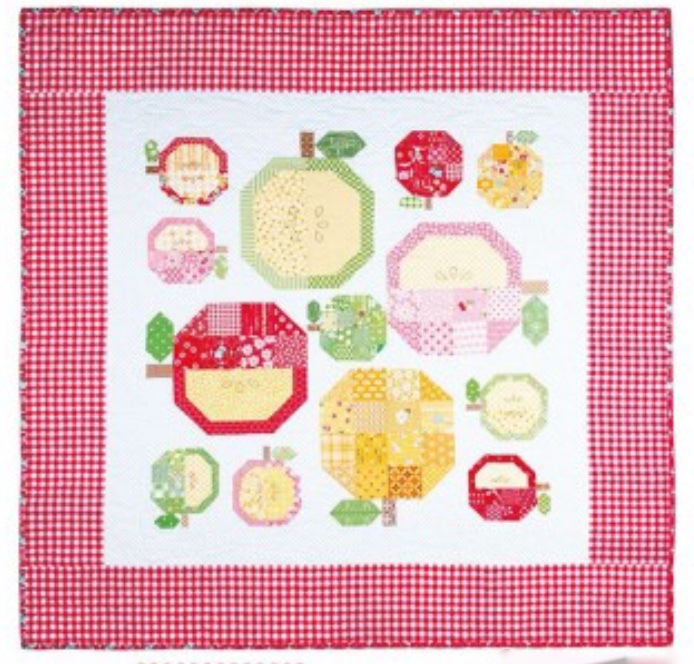 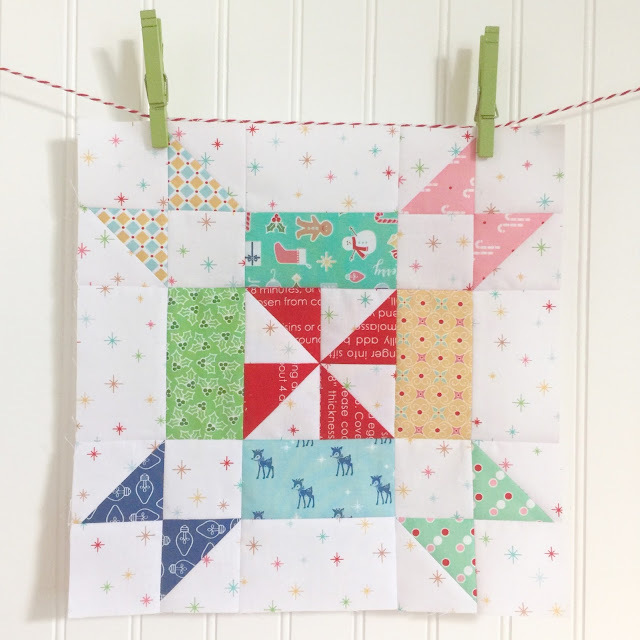 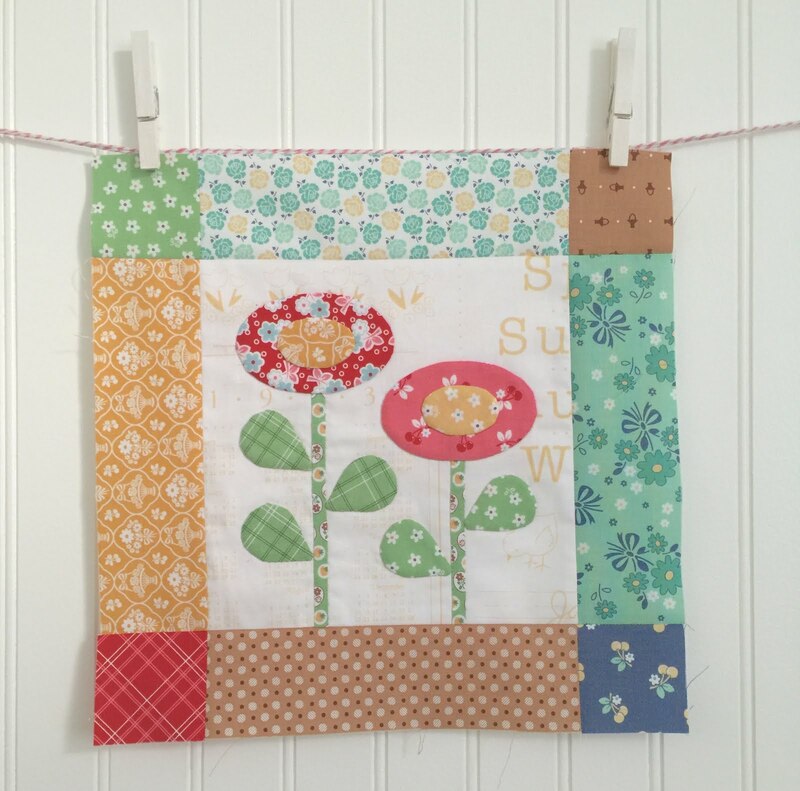 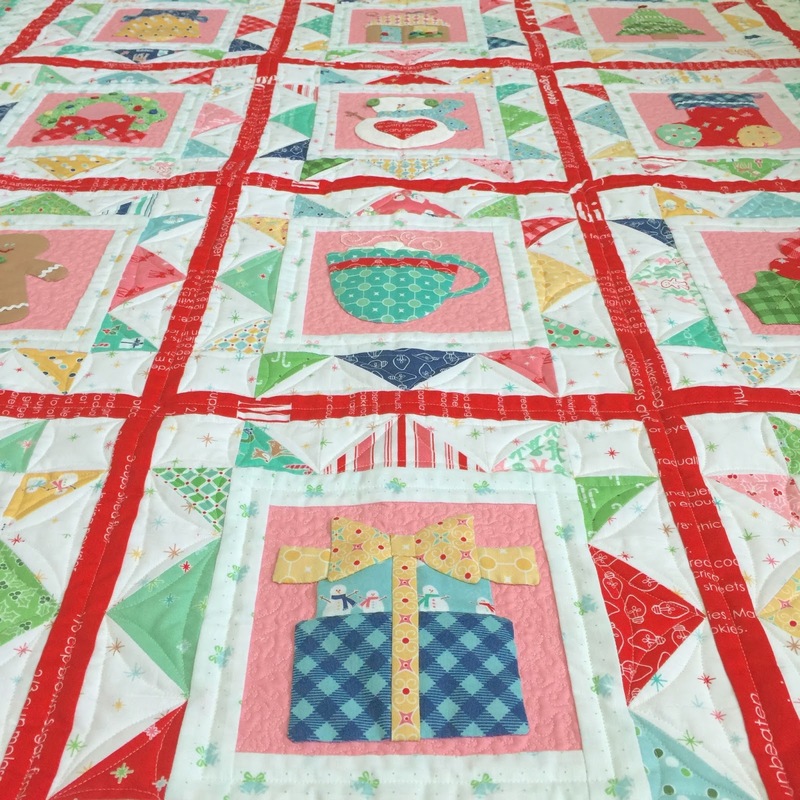 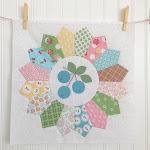 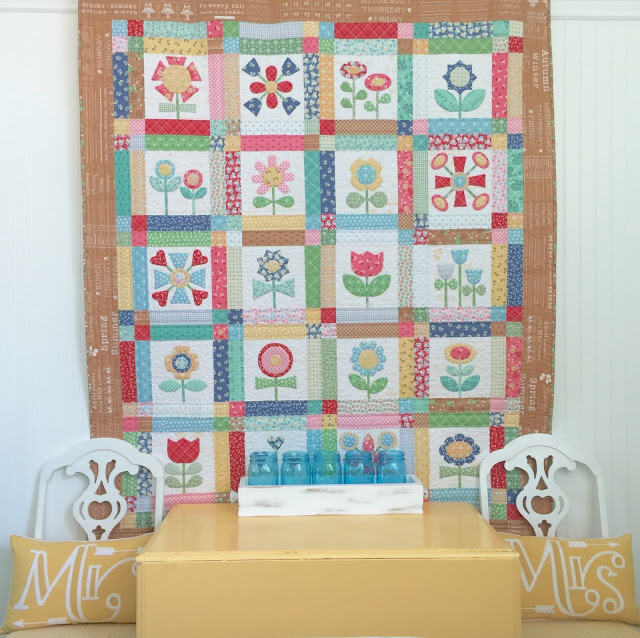 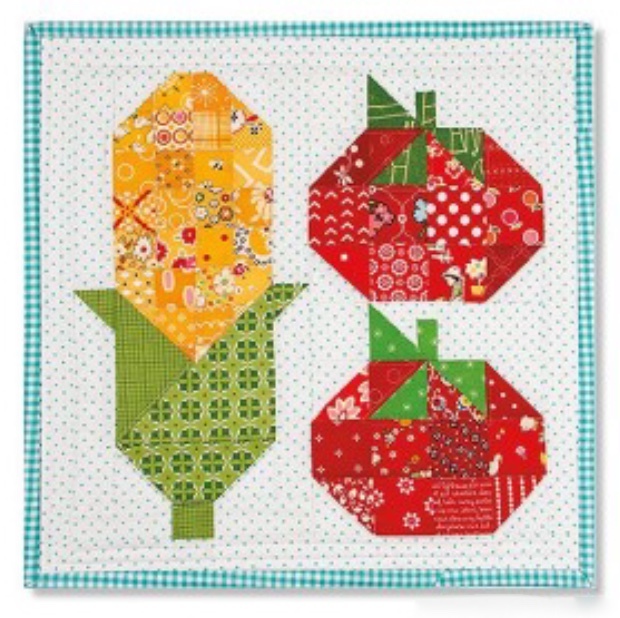 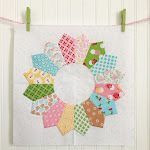 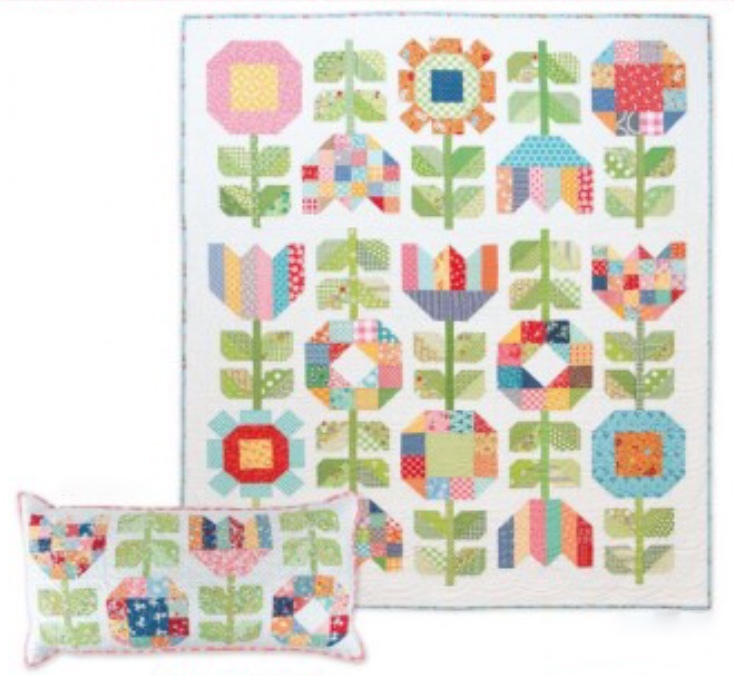 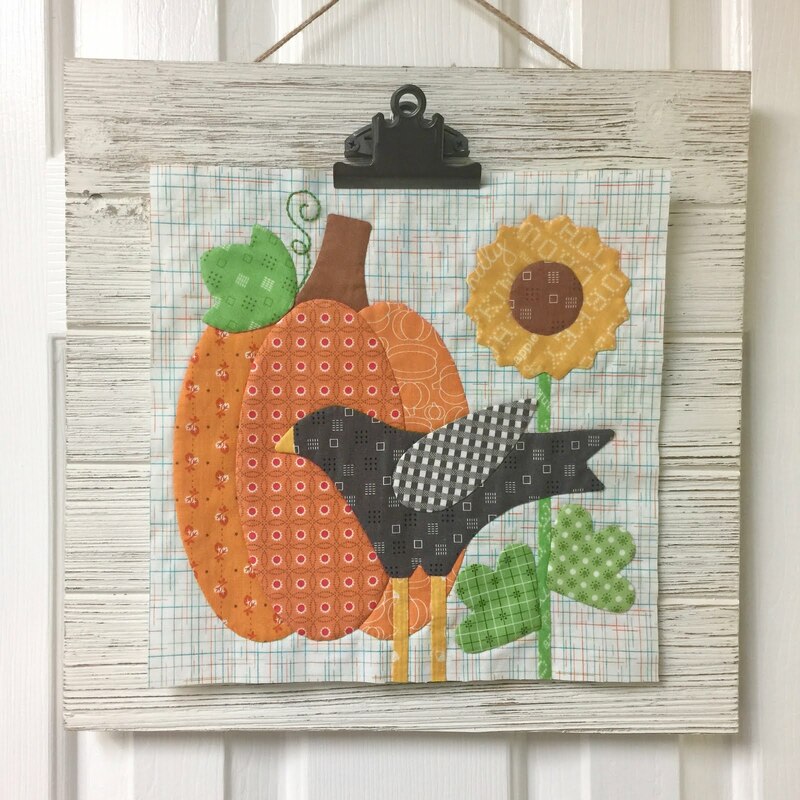 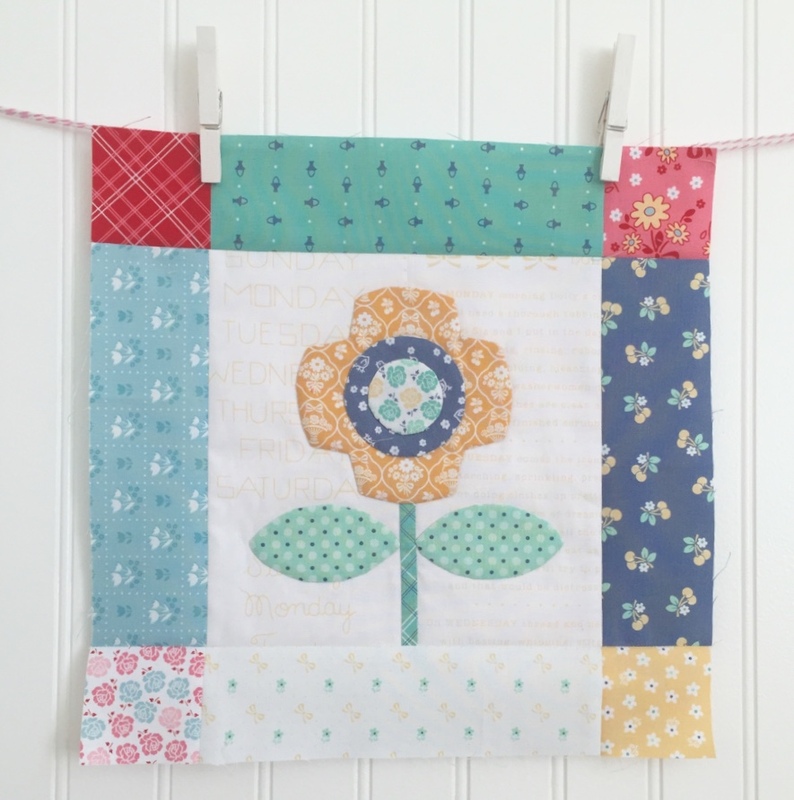 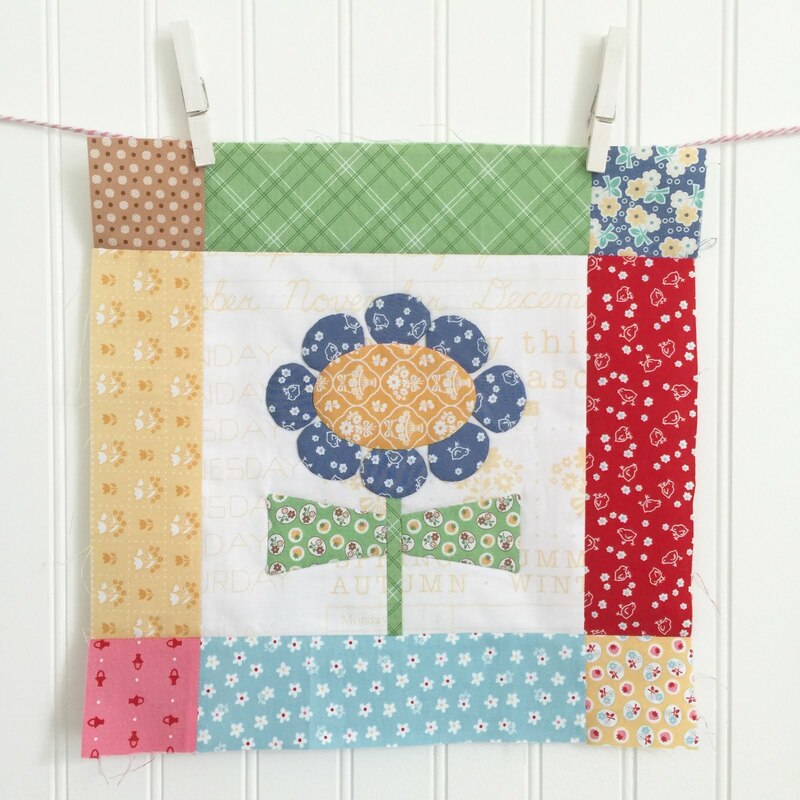 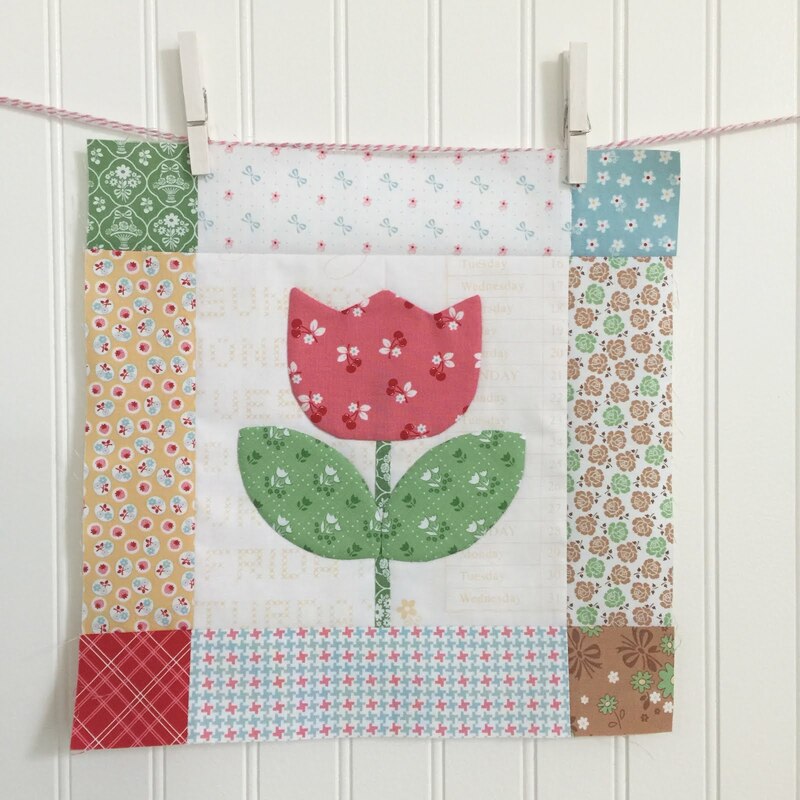 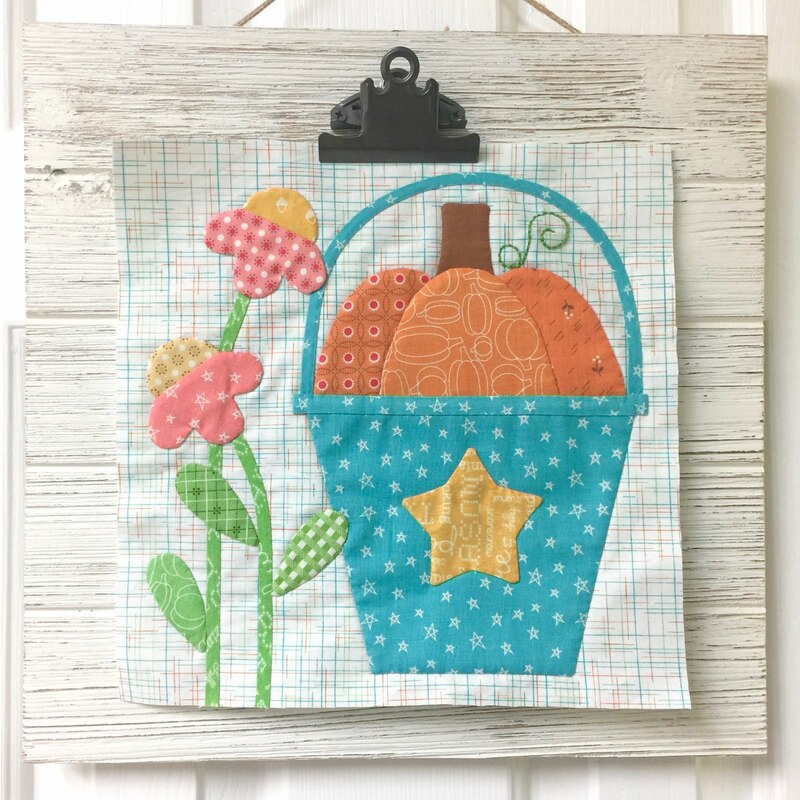 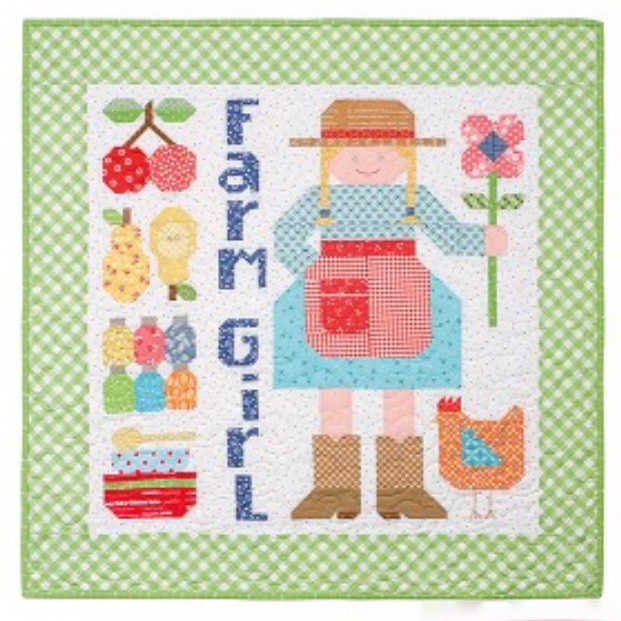 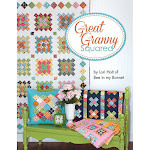 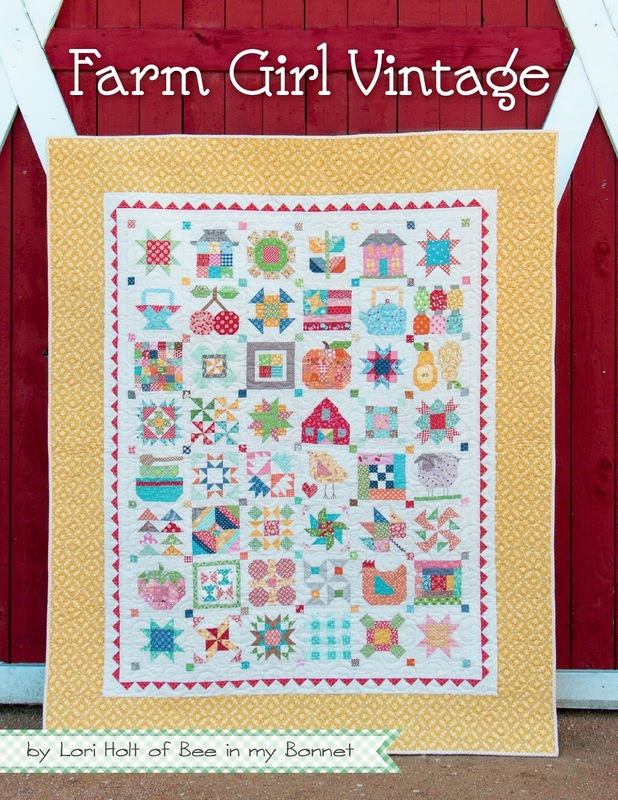 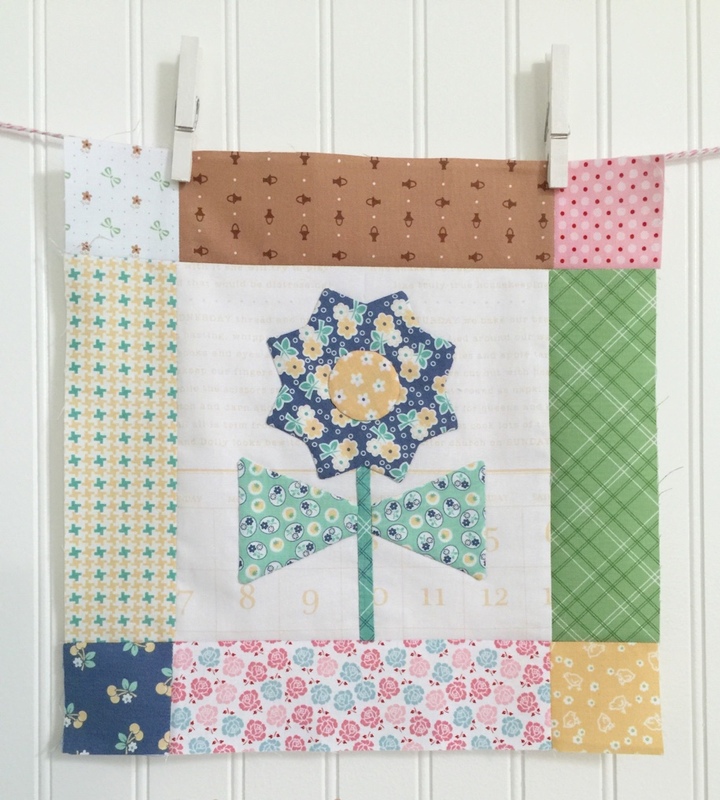 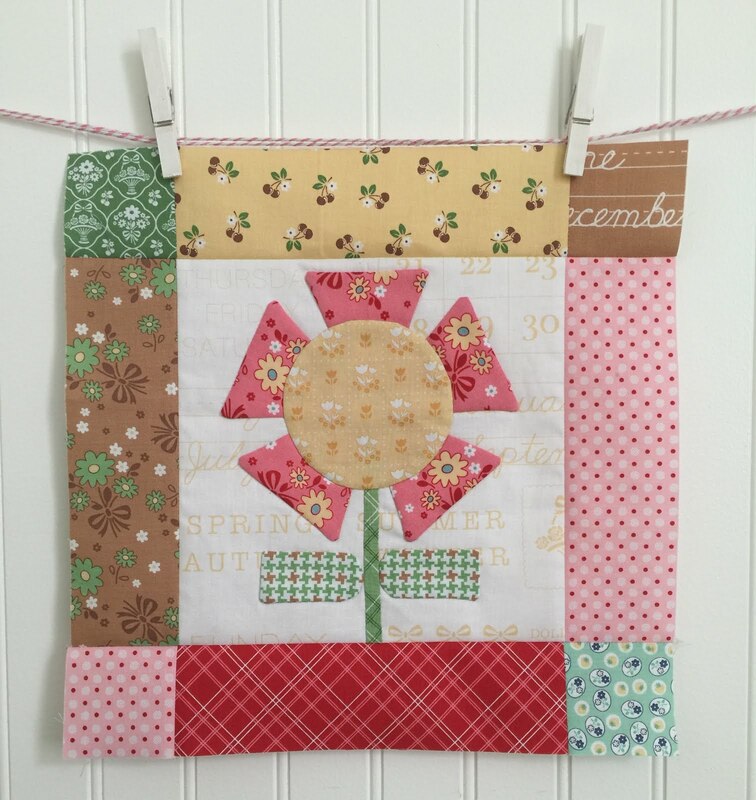 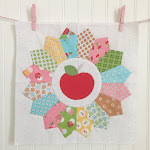 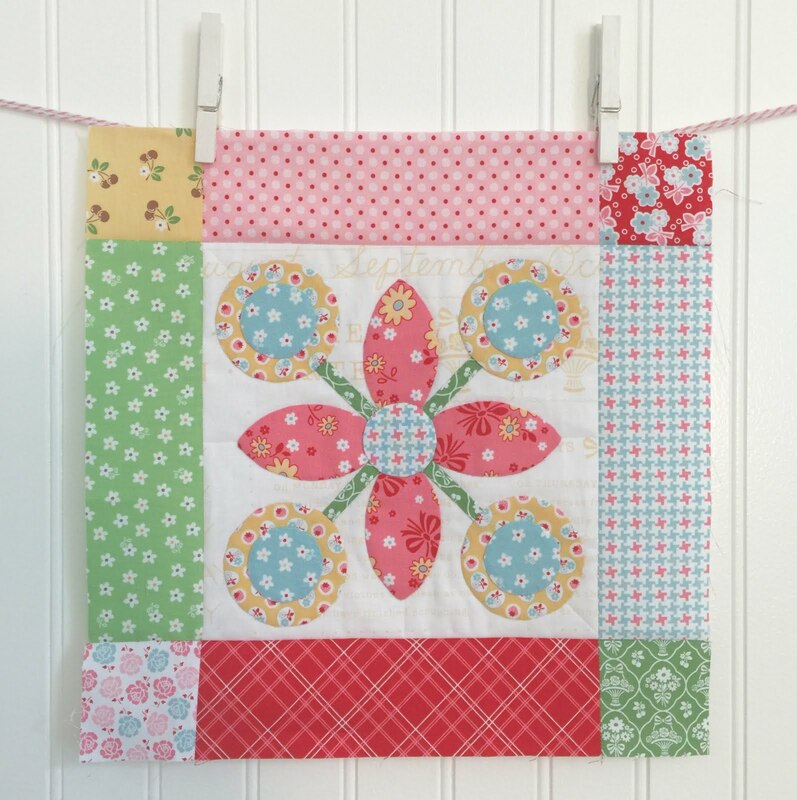 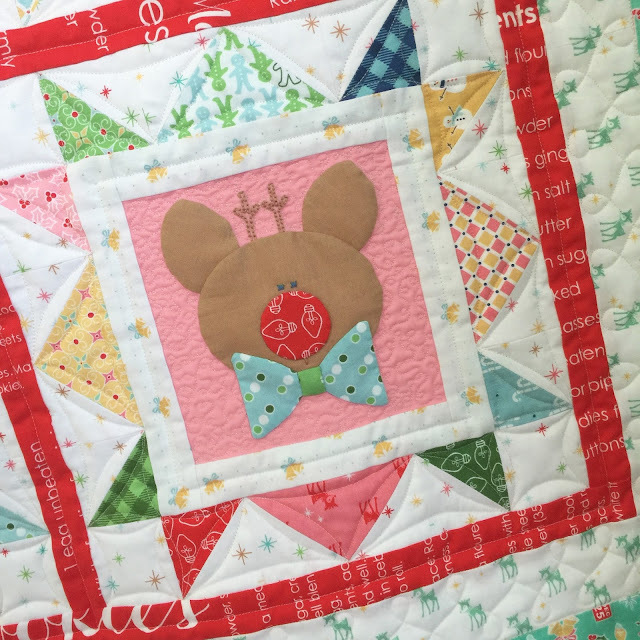 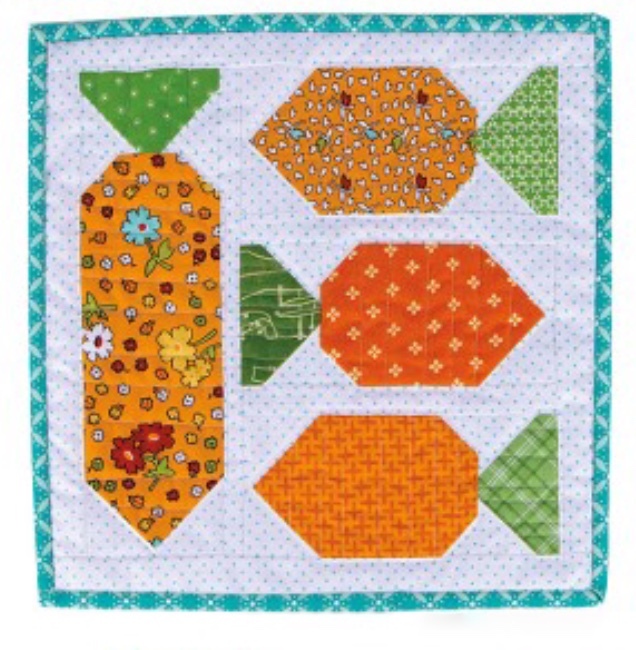 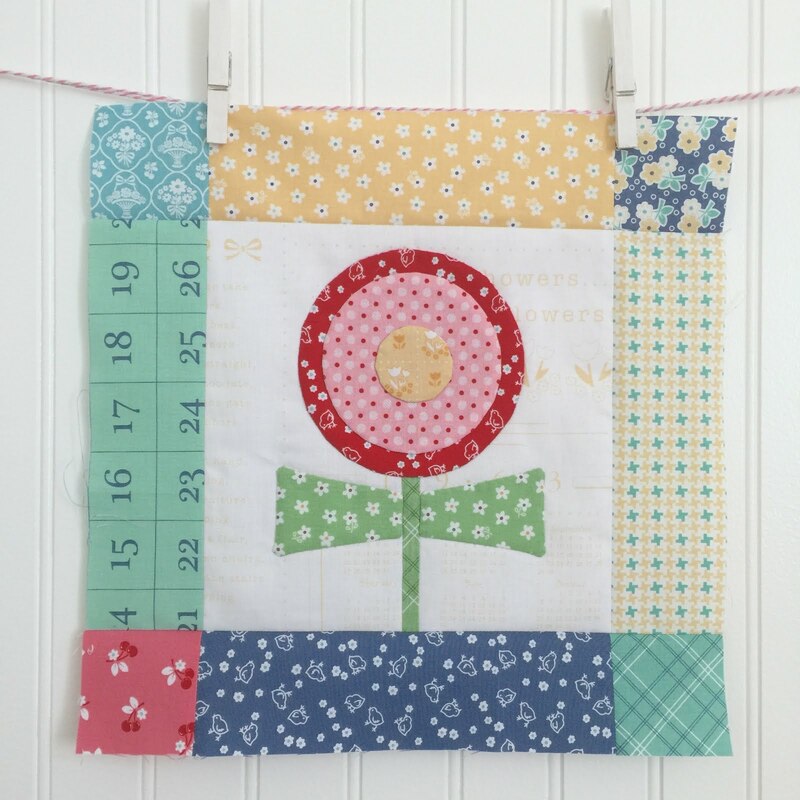 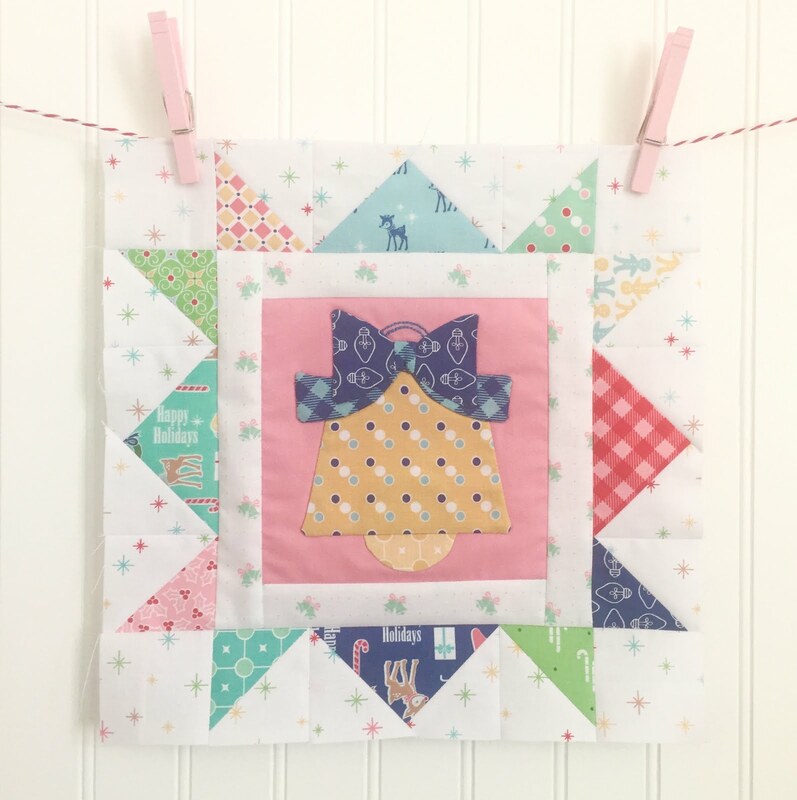 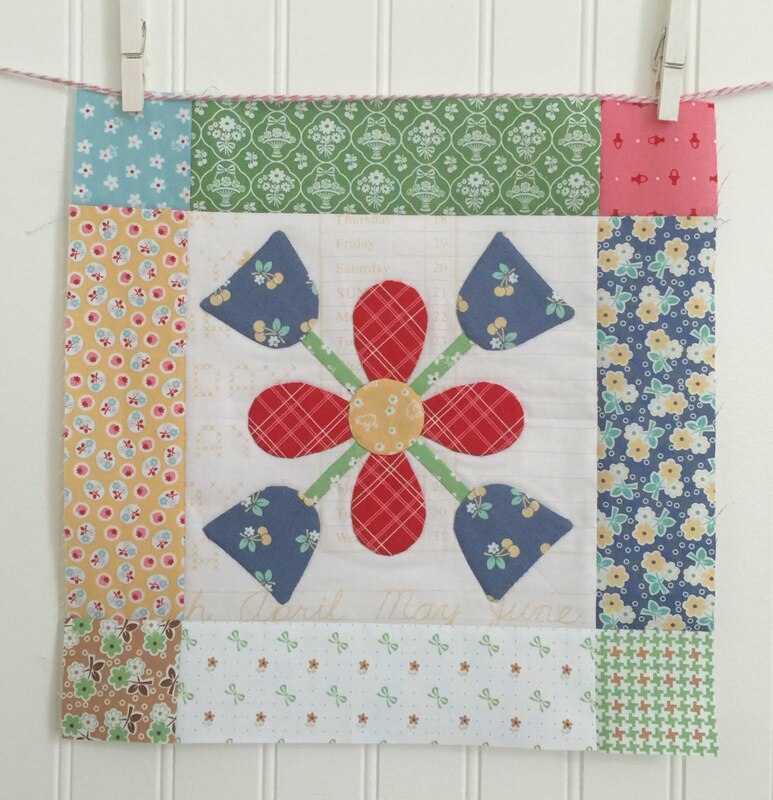 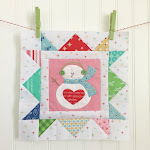 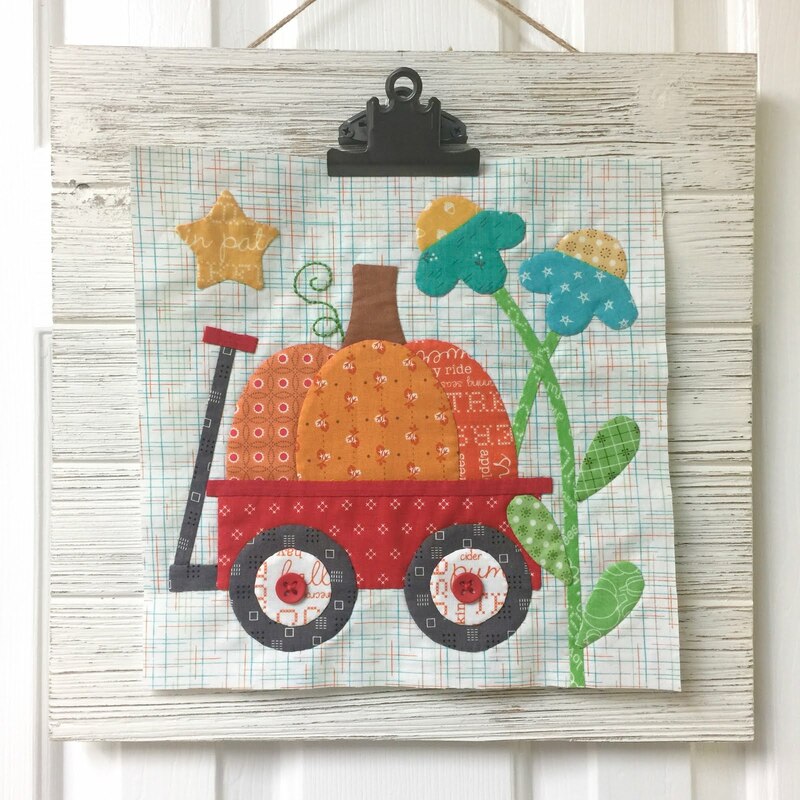 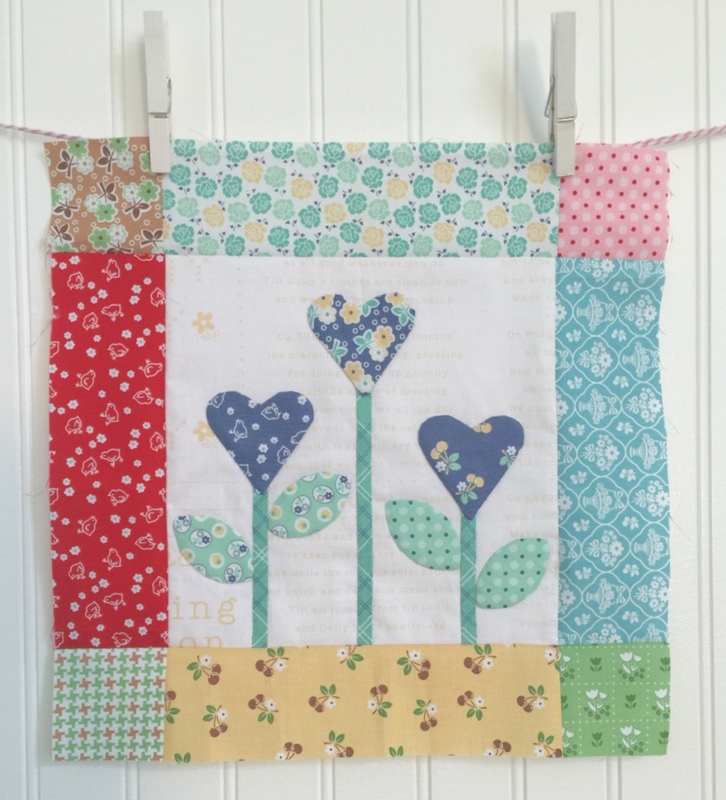 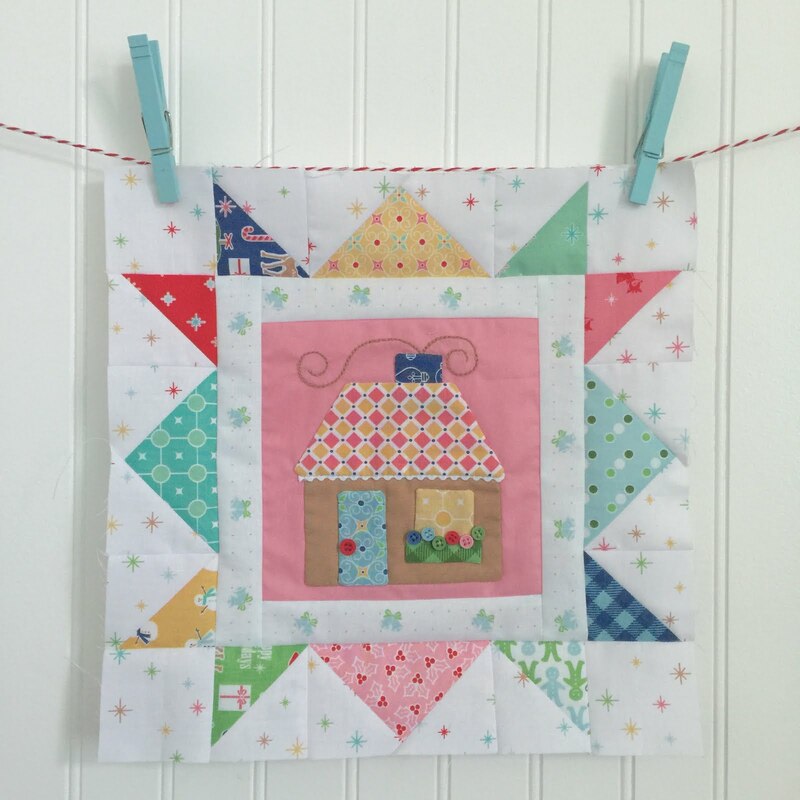 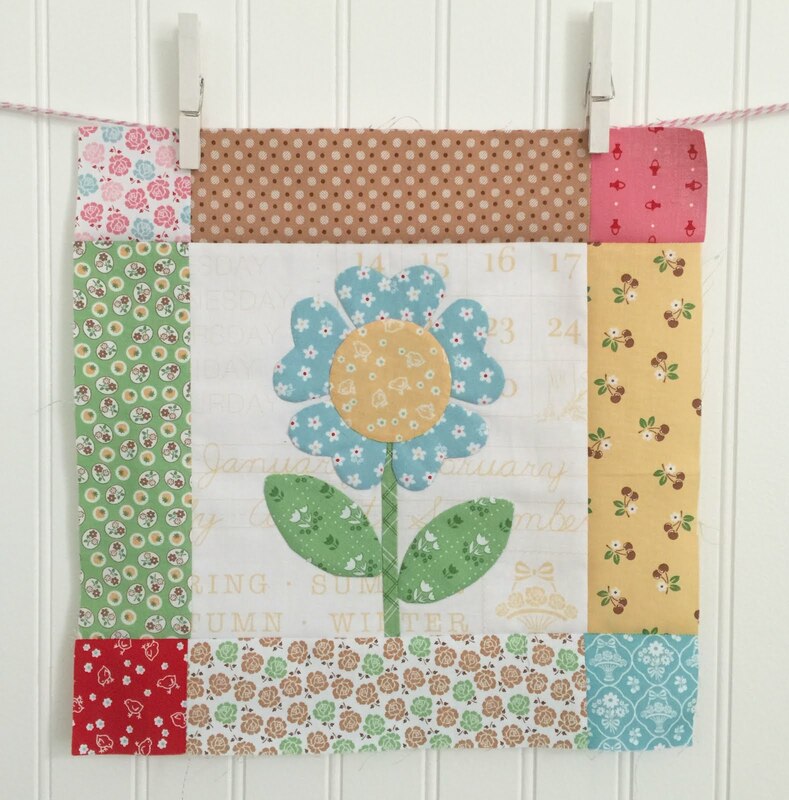 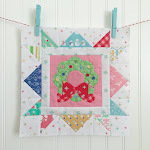 Beautiful blocks and beautiful quilt!! 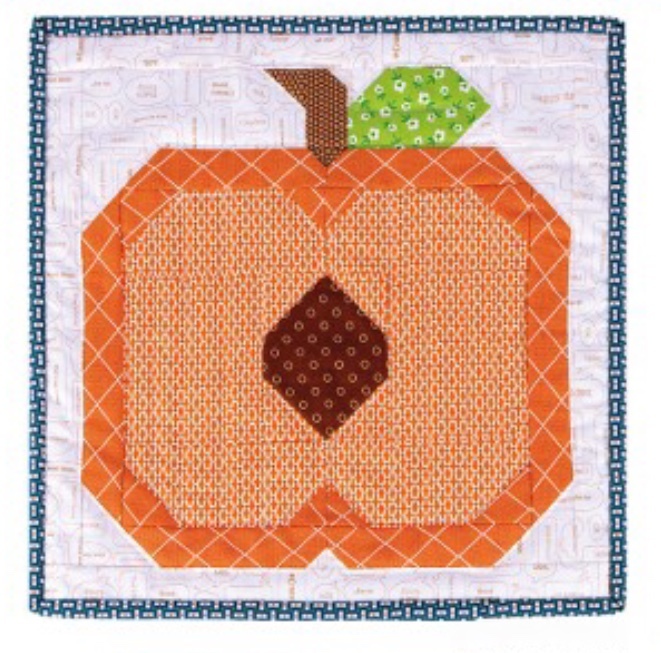 I'm glad to see that you didn't quilt the appliqued. 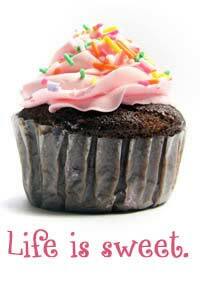 I wondered about that. 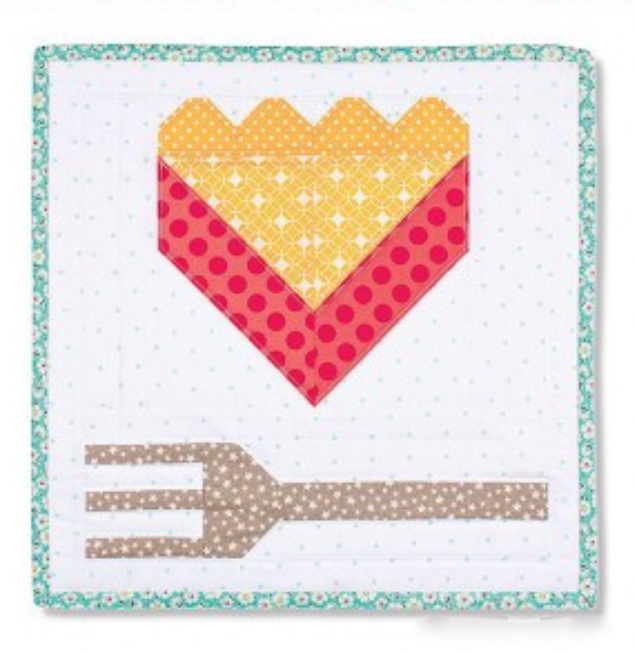 Lori, this is so cute. I sew wish I could have sewn along with you this year. 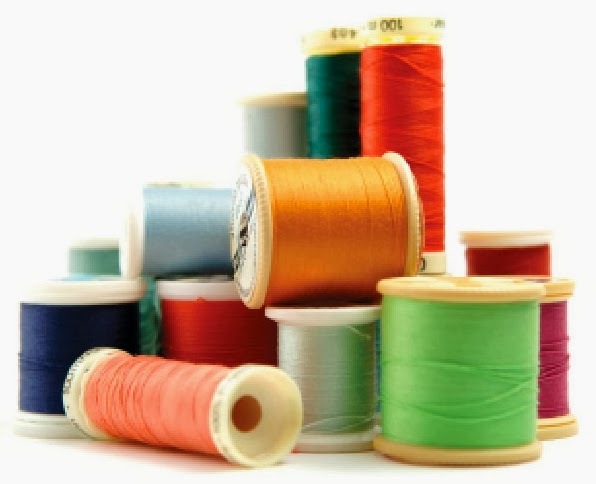 Your fabrics are wonderful. 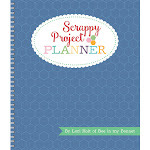 Looking forward to your next project. 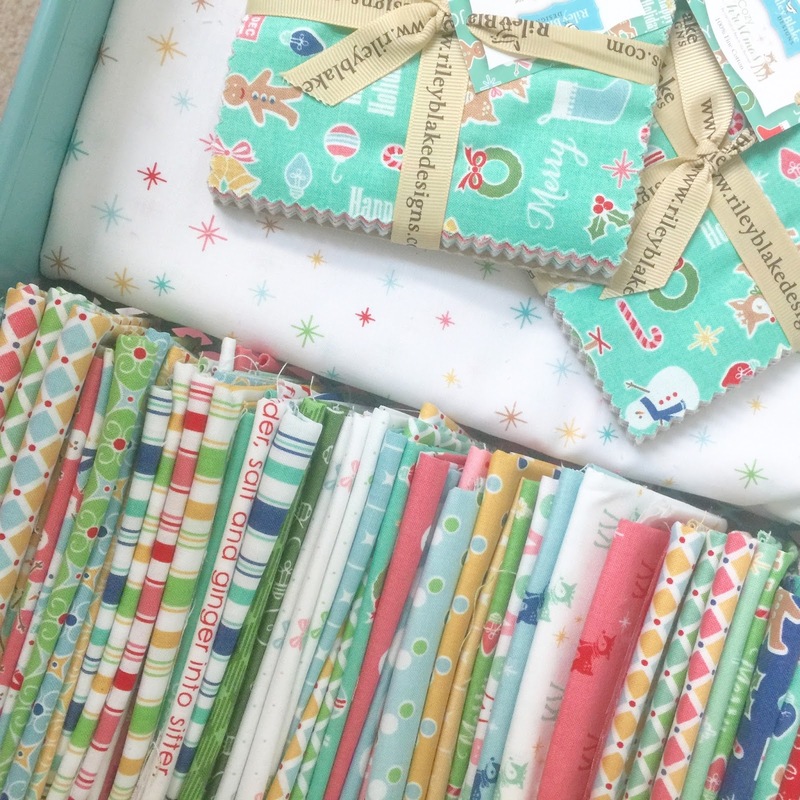 I'm loving my planner and am getting started organizing my fabrics. 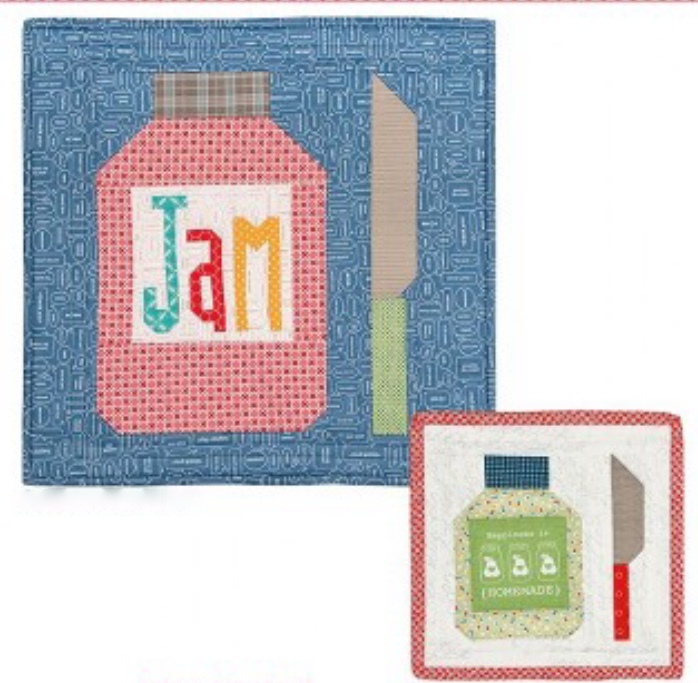 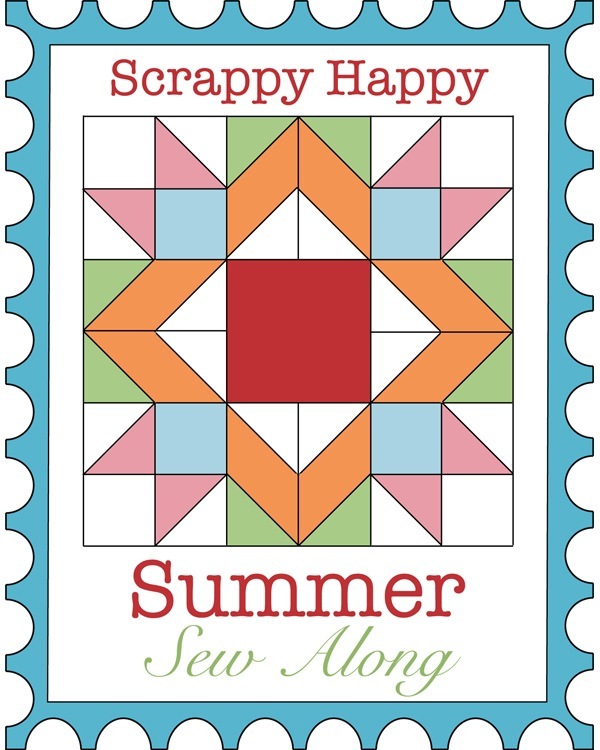 Looking forward to starting a scrappy quilt one of these days. 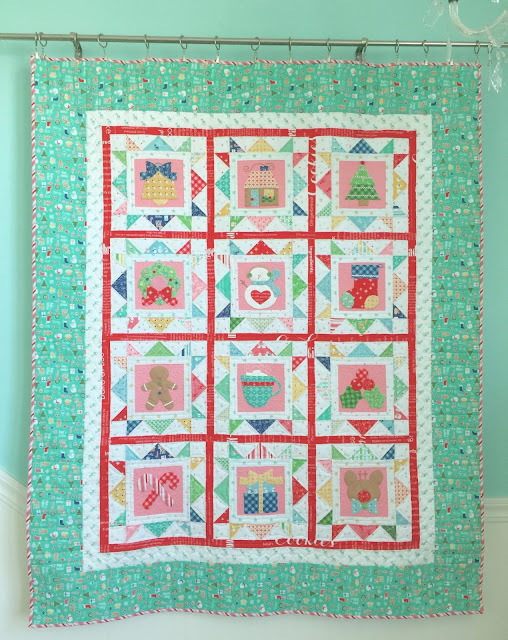 This was such a fun quilt to do! 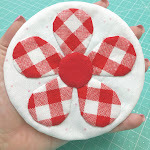 I loved it so much I am making four of them. 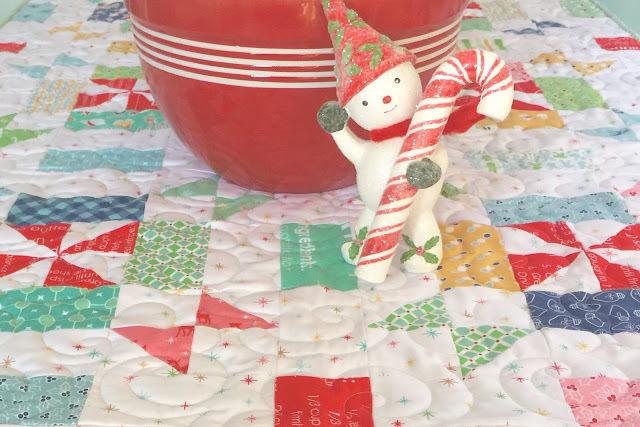 Three as gifts and one for myself, of course. 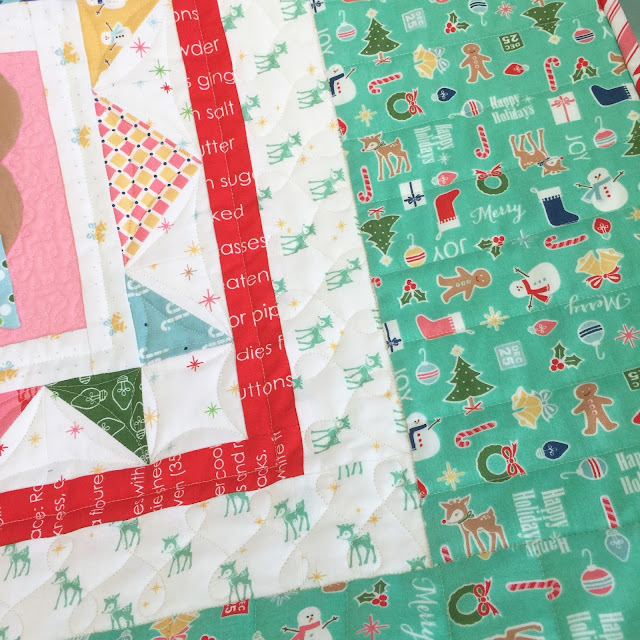 I have one completed and two more tops finished.